Hey guys! Happy fresh start of the week! How’d your weekend go? 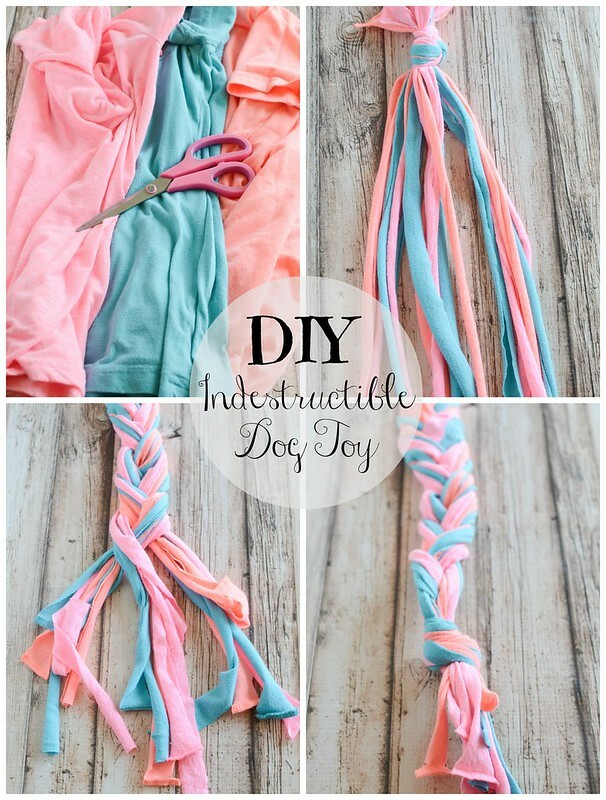 I spent mine watching chick flicks and making DIY indestructible dog toys from old t-shirts! In other words, my perfect weekend! I decided to share this quick DIY today because I know there are probably a lot of crazy dog ladies like me who also have a habit of buying bright colored t-shirts that they won’t ever wear because they only wear black, white, and grey. 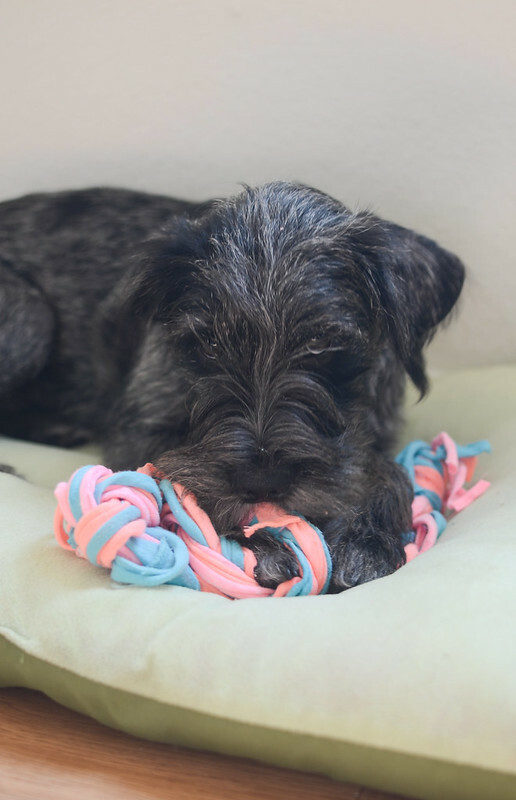 So not only is this the easiest dog toy DIY but it also cleans out your closet a little bit. You simply cut your t-shirts into thin strips. I used 3 shirts and cut 6 strips from each. And It doesn’t matter if they’re all the same size – I promise your dog won’t care. Gather all the strips together, tie a knot on one end, and braid to the other end. Tie another knot and get ready to play. And guess what! This is basically indestructible for your dog. My dogs are the kind of dogs that get a new toy and immediately try to destroy it. They want the squeaker out, they want to scatter the stuffing all over the house, they just want it dead. But with this, they can’t tear it and they can’t unravel it. The husky and the schnoxie spent hours over the weekend running around the backyard and playing tug of war with it. Which was nice because it’s still way too hot in Texas for long walks and dogs need to be active to stay healthy, just like we do. 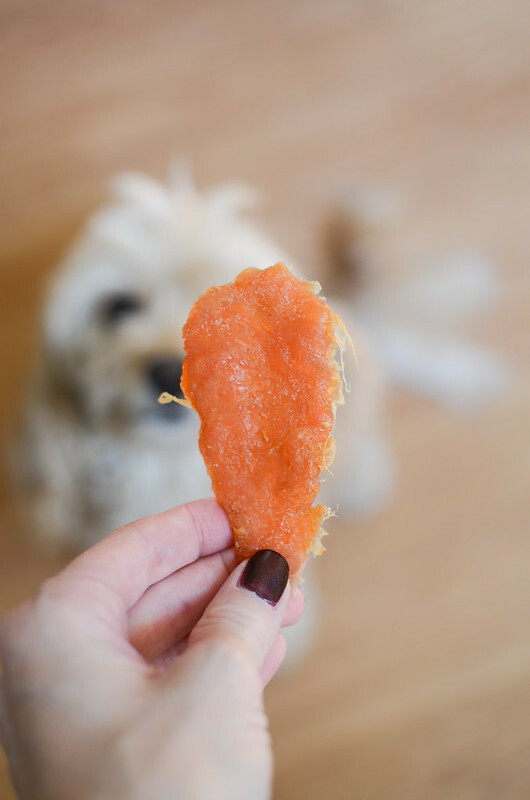 On top of exercise, I think healthy snacks are important to my dogs overall well-being. 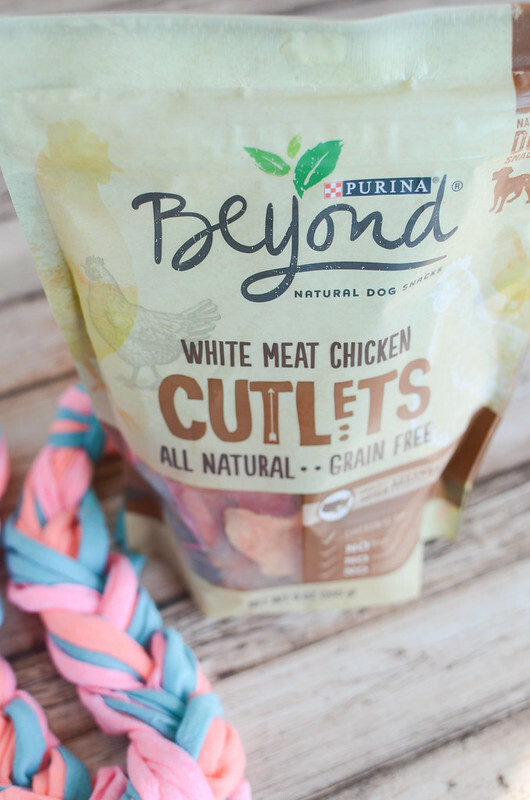 I love these Purina Beyond White Meat Chicken Cutlets because they are grain free, chicken is the first ingredients, and this may sound crazy, but I love that when I open the package, it actually smells like chicken. That just makes me feel good about giving the pups a treat. They are also made in small batches in Arkansas, contain no poultry by-product meal, or artificial colors, flavors,or preservatives. 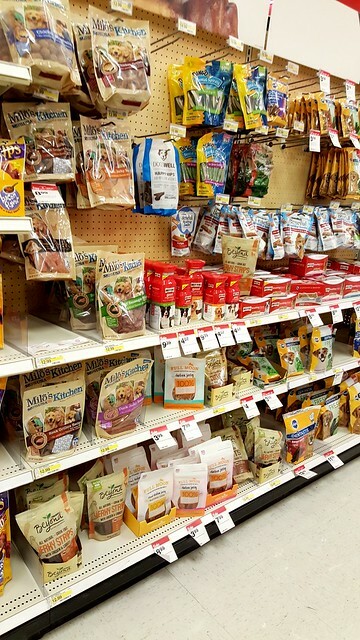 If you head to Target now through October 31, you can use the Cartwheel app to receive 10% off the Purina Beyond snacks! It’s a great deal and I’ll be stocking up before the Cartwheel offer ends! 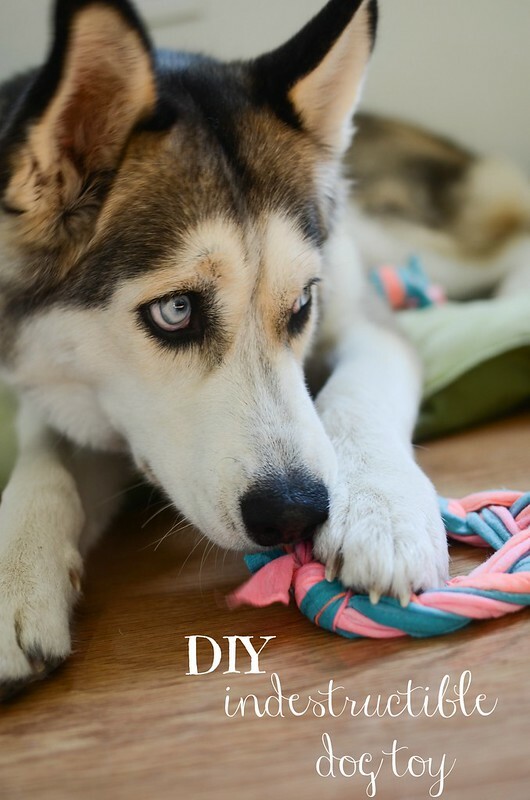 7 Responses to "DIY Indestructible Dog Toy"
Look at you all crafty! I miss having dogs so much, it’s depressing. Lend me one of yours for a weekend? I love this!!! and loved that you used old t-shirts! Forwarding this to my bestie who recently got a new pup! I love it! This would also be great in a smaller version for cats! With or without a small bell sewed on with fishing line thread! I am SO making a FEW of these with some of the hundreds of t-shirts the boys have! Oh, and I am with you about the dogs tearing the other toys up. Breesy goes for the squeakies, then NayNay tears it’s guts out. Ugh. Buying the chicken treats, too. They LOVE them! I made this and my dog destroyed it in half a day. Any other DIY ideas?